The present era moms have very little time to spend with their kids. When they get time, they often wonder what they will do to make your children happy. On a sunny day or when your kid is not keeping well, it’s always better that you spend time at home itself. 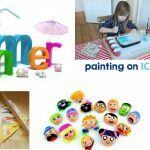 Here I would like to share with you some of the fun things to do with kids at home. Besides from watching TV it’s always better that you make your kids read some books. The habit of book reading develops gradually, and it should be started at the very young age itself. Otherwise, when they grow up, within one day you can’t make them read Shakespeare or Milton. Arrange the books in a way that it is easily accessible for the kids at any time. Also, it is always good if you set up kid’s library in the living room. Is there a favorite story for your kid? Have you ever found that your child is fond of a particular character in the book? If it’s a fairy tale story like Cinderella or Snow White, then it would be fun. Also, you can join with them and make their play more colorful. With the help of the blankets, quilts, and pillows you can make blanket forts very easily. You can join your kids and make this happen. It would be a wonderful pass time for your kids inside the home. #4. What about staging a puppet show or play? Grab all those dolls and toys and get ready for a wonderful puppet show. With all those piece of clothes in your wardrobe, you can make an entirely different look for your kid. This makes him/her feel very exciting and joyful as they could transform themselves into the character. With a spring-loaded curtain rod and piece of cloth, you can make a stage for the theater and enact your play there. For this purpose, you can get your picnic table ready. Or else you can also use your outdoor table cloth. Place it on the floor of your dining room and enjoy having lunch together. Make some tea and serve in between with some crackers and cookies. You can play some games also there. Today no one find time for writing the letter and posting it. With the advancement of technology, it has become like a dying art. Ask them to write to a friend who is waiting to celebrate the birthday soon. This can make the friend surprised if you post it along with a birthday card. 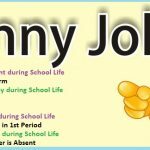 Parents can join kids in these games. Hide the treasure in an unusual spot in a rooms or shelves. Parents can prepare a list of the treasures they have hidden and make kids fetch it. The winners of the competition should be given some prizes for encouraging them to play this game again and again. This idea you need to practice only if your kid is old enough to pour, stir and hold utensils properly. Make them cook something very easy like pastas, noodles or just to boil the milk. It is even a good chance to make your kid learn about the nutritional benefits of each food item and make them learn the importance of sharing the food with their fellow beings. Card games can tremendously help in developing the minds of the kids. When they play the game, they tend to challenge their minds and use their brains to resolve the game. So it’s time for you to grab all your traditional card games and start the game with your kids. Reuse your unwanted bottles for an entertaining bowling game or else you can also purchase the bowling set which is readily available in the market. Place a line of duct tape at the starting line and try to grab a medium-sized ball before starting the game. Keep scores and give prizes for the winners. Another interesting indoor game for those young champs is basketball. If you don’t have a basket, also there is nothing to worry about. You can make your basket needed that you should have a ball with you. For that take a bucket and a rolled up sock. Each player gets a chance of throwing the sock-ball into the bucket. If he/she wins then, they will get more chances to throw after steeping backward until they miss putting the ball inside the bucket. Only the player, who can put the ball inside the basket from a greater distance, wins the show. Hot potato is a traditional and all time favorites of everyone. It’s very easy to play, and the fun elements associated with it are enormous. Make the kids sit on the floor in a circle or even they can stand in a circle. Turn on some tunes and make them pass the potato (a soft toy or a bean bag). When the tune is switched off, the person holding the potato will be out of the game. This goes on until one player is only left to play, and he/she will be declared as the winner. Hide and seek is one of my favorite time passes. No list of indoor games will be complete without hide and seek. Though it is very traditional, it has a lot of fun elements in it. You can also get involved in the game. One person will cover the eyes and count aloud, and the others will hide. Later when the counting is over, that person has to find out all the hiding persons. Who is found towards the end of the game, has to count next time. Even kids can play this game in the dark but only after ensuring that everything is kept safe. 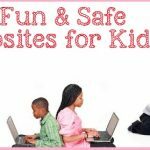 Fun Websites For Kids To Pick From! «Next Post When To Start Potty Training Girls?